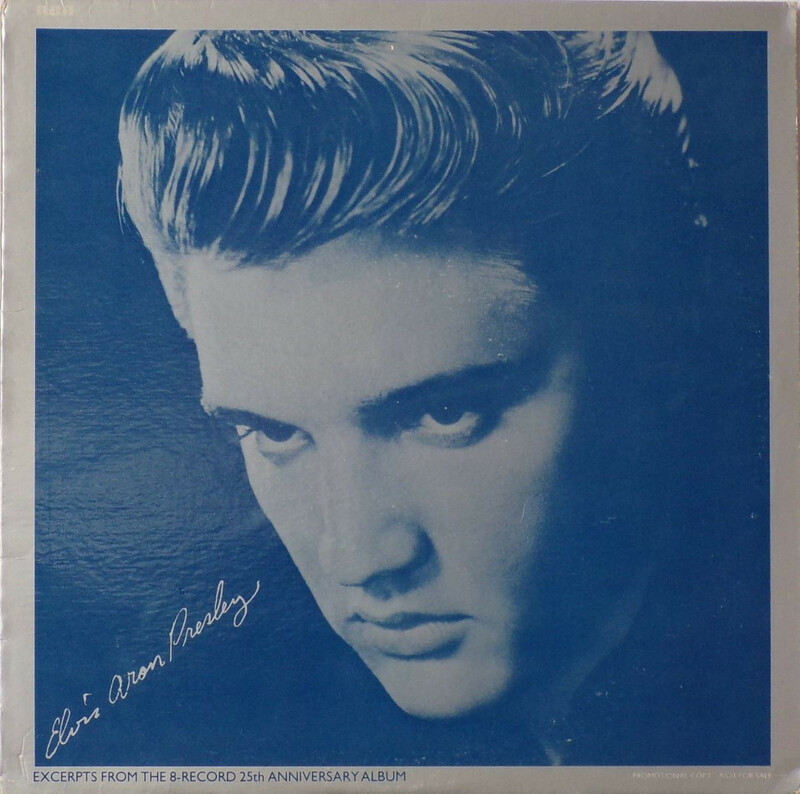 Brief History : This LP sampler was issued to promote the box set Elvis Aron Presley. Rear Cover : No catalogue number. 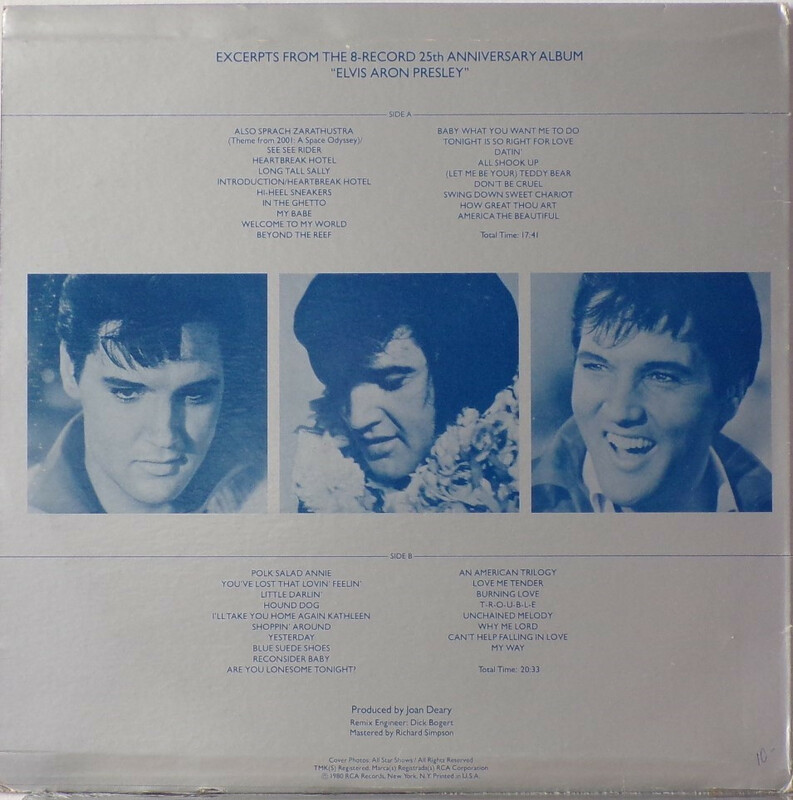 3 Elvis photos. Title across top. Copyright details across bottom. Printed in U.S.A. bottom. Label : Silver with rainbow. Flexible vinyl. 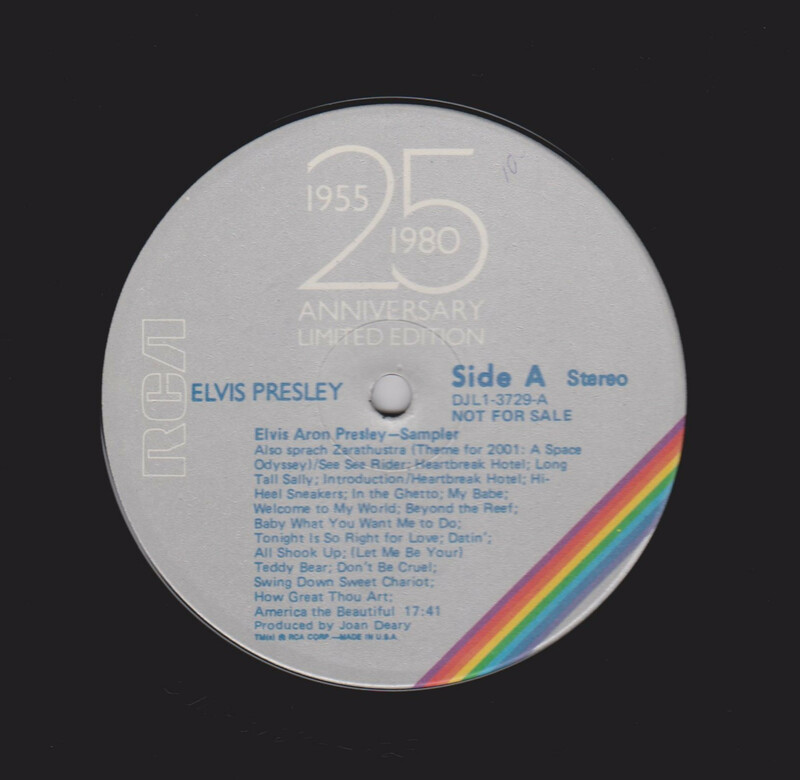 Side A : 25th Anniversary Limited Edition top. Side B : 25th Anniversary Limited Edition top. *NOTE* Released for promotional use only. 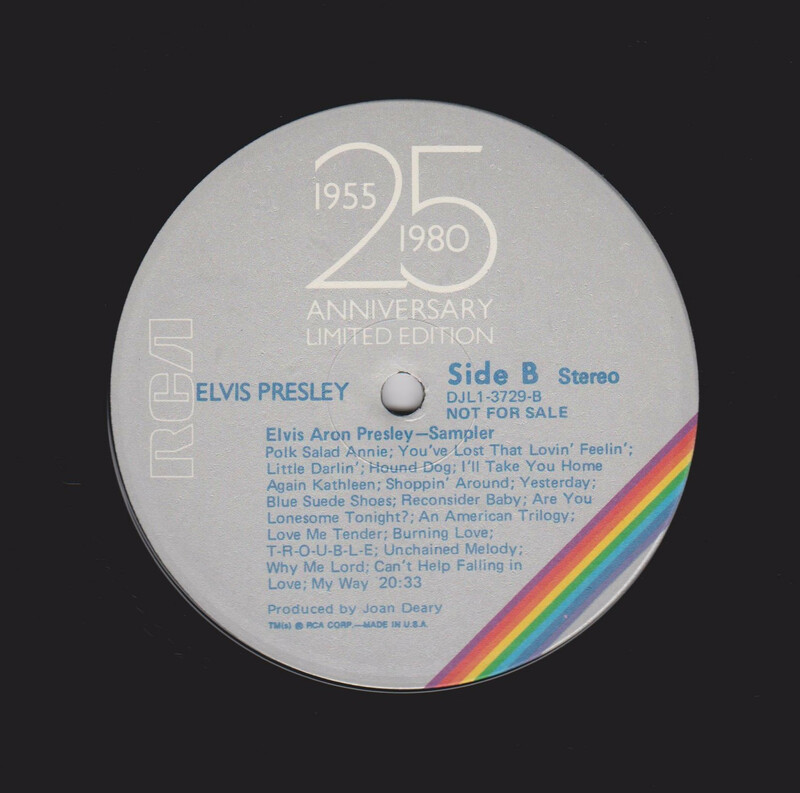 Excerpts from the Elvis Aron Presley 8 LP box set. Not to be confused with the selections album also released to promote the box set.